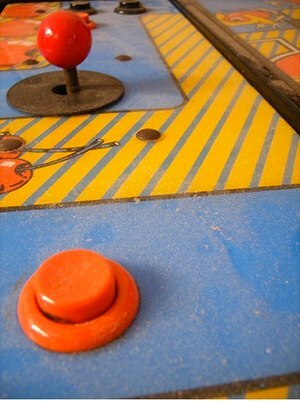 Throughout the years, many video games have passed through the doors of arcades across the world. The types have games have varied from violent fighting games to puzzle games. There were the classics, such as Pac-man and TMNT, and newer games have come out, such as Avengers Hulk. With all these different options, itâ? ?s hard for some to choose a favorite. For others, their preferences is so high, they wonâ? ?t play any other games. Here are a list of some of the favorites, current and classic, in no particular order. For me, this game is what an arcade game is supposed to be. Chun-Li, the strongest woman in the world, is every girls hero. She always kept up with the guys at the very least, often winning against them. This is also one of the games that some actually prefer as an arcade game as opposed to on an at-home consol. Many canâ? ?t imagine trying to roll a Katamari on an arcade machine, and I hardly want to do the same motion with Sonic the Hedgehog. Street fighter, on the other hand, becomes an even greater experience with the addition of buttons and a joy stick on a large machine. All across America in California, to Hawaii, to Michigan, and more, there are Street Fighter arcade machines. There is even a website dedicated to locating these machines just for Street Fight IV. This might be the most aggravating game. That frog just doesnâ? ?t know how to move quickly, and seems to jump the second after you tell it to, landing right into a car. And I canâ? ?t stop playing. Unlike Street Fighter, itâ? ?s how bad the play performance can be that will keep you coming back. You canâ? ?t help but want to keep yelling at the screaming, swearing this will be the time I make it. Most canâ? ?t even fully explain why they vastly prefer the female counterpart to Pac-man himself. Maybe itâ? ?s her great use of a bow as an accessory, or the weird attempt at making a circle have a gender, but I love this game possibly the most out of any arcade game. She comes off about ten times sassier as Mr. Pacman, yet has the same basic concept that made me like the original. The whole game is trying to eat a bunch of dots while going through a maze and avoiding ghosts that want to eat you. On paper, this sounds completely ridiculous, yet itâ? ?s one of the most popular games of all time. Whether itâ? ?s a Ms Pacman arcade machine or the new flash version, most will always wish they had the style and pizazz to pull off a big red bow, red gloves and red boots the way she does, and continue to play this bread-crumb path of a maze every chance I get.